Experience for decades, technical know-how, lending an ear to the wishes of our guests and detailed knowledge of the routes enable us to construct a bicycle which is adapted to the needs of our guests. In 2017 we got down to work again and now the moment has arrived: We are pleased to present you our new and improved Rotalis bike which will accompany you on your tours as of 2018. We decided to use an agile low-entry frame which stands out in rigidity values. Due to modern design and the different colours it became a feast for the eyes as well. Three different frame sizes let us find the optimal bike for every guest. A reservation is not required, enough bikes of each size will be available on each tour. Due to the modern aluminium frame it is 3 kilos lighter as its predecessor. As usual we will still place our double-sided saddlebags at your disposal. A special highlight is the stepless NuVinci gearshift. Stepless means that the bike has, in principle, an endless number of different gears. Every easy twist of the intuitive rotary handle let you define your requested gear. The complete width can be compared to a bike with 18 gears. The new bike has, as you are already used to by Rotalis, the premium model of the manufacturers with the NuVinci-380-gearshift. It stands out due to its excellent efficiency. With the new gear shift you always have the right gear and without any interruption of your pedalling. No clicking noise will disturb your fun of cycling. We focus on your driving comfort: individually adjustable for height you can adjust the bike perfectly to your needs. Due to an upright sitting position you will enjoy the impressions of the beautiful landscape even more intense. The ergonomic handles let you cycle relaxed. With the failsafe tyres and two breaks perfectly balanced to the alloy rims you can cycle every stage easily. The new Rotalis bike is suitable for streets as well as for hidden dirt roads in nature. Nothing gets in the way of an even more enjoyable bike ride now. If you want to bring your own bike with you, please note the following specifications: max. 28 inches wheel diameter, max. 4 cm tyre width, max 117 cm wheelbase. If your bike exceeds these measurements the transport with the Rotalis trailer cannot be ensured and may be denied by the tour guide. Damages by loading the bikes and during transport are inevitable. We pay special attention to security. However, thefts cannot be excluded. Rotalis is neither liable for not wilful damages nor for theft. If you take your own bike with you, you are not entitled to a reduction of the tour price. Our tour guide assists you within its capabilities during a breakdown. Batteries of private e-bikes cannot be charged by the tour guides. The development of e-bikes is proceeding at a tremendous pace. Focused on the pulse of time, together with our partner Victoria Rad – one of the leading German brand-name manufacturers for more than 130 years – we are happy to provide you in 2016 the most modern e-bikes on the market, thus adding to your daily joy of cycling. For the wheel drive we rely on the German market leader. The Bosch Active Line center motor excels in its performance and a secure riding experience while the 400Wh battery pack provides a comfortable operating range. The settings on the display are easy to handle, always providing the optimal support level. A further highlight is the infinitely variable Nu/Vinci-gear shift. The intuitive twist grip allows easy changing of gears without interruption of the pedaling movement. No mis-shifting or cracking will ruin your pleasure anymore. A suspension seatpost and spring fork increase your riding comfort, even on bumpy ground. Your bike can be flexibly adjusted to your prefered seat position. The new Rotalis e-bike! Enjoy cycling at an unknown level! 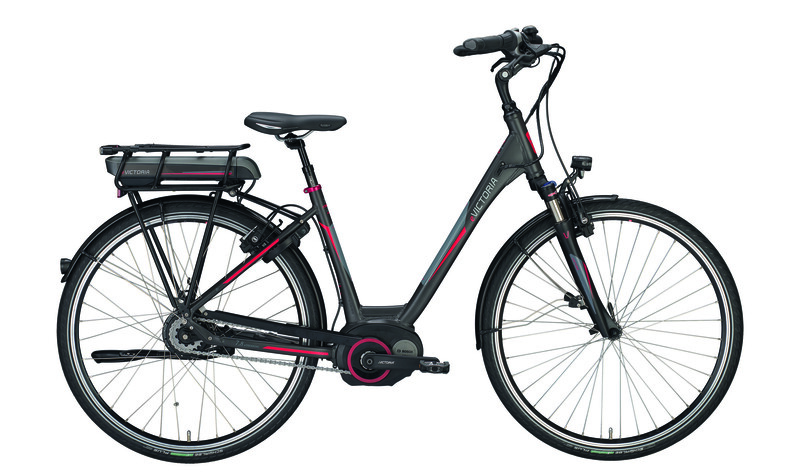 An e-bike is a bicycle fitted with an auxiliary motor. It facilitates pedaling, especially in hilly terrain. Pedaling is necessary, however, as the motor needs your assistance to give support. Your physical exercise is reduced, but you still enough to enjoy dinner with a clear conscience. Despite motor assistance, in legal terms an e-bike is a bicycle which does not require a driver’s license or a helmet. For your own safety, however, we highly recommend wearing a bicycle helmet, regardless of the type of bicycle. On most of our cycle tours, regular bicycles as well as e-bikes are used. Considerateness and courtesy on the road are therefore indispensable for safety reasons. Please note that the daily time schedule is based on the use of regular Rotalis bikes. For this reason, it is not advisable for e-bikers to always go at a rapid pace. Besides, you may miss beautiful and lasting impressions. 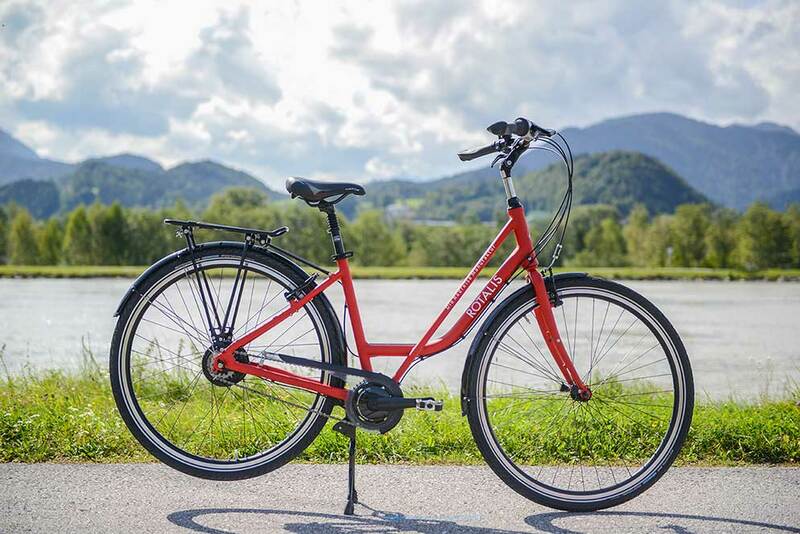 Within Europe, we offer e-bikes for all destinations. Please note, however, that they cannot be provided in unlimited numbers, due to necessary logistic planning. Therefore, please reserve your e-bike as early as possible. In some of our destinations we may meet your demand by renting an e-bike (the rental fee may exceed the Rotalis fee).